Flaunting a freshly designed, high-performance arch that reduces overall weight while providing an incredible level of impact zone protection, these adult football shoulder pads by Schutt are named XV HD. They also come with a high density EVA foam that allows sweat and heat to escape thus keeping the wearer’s body as cool as possible at all times. The caps and epaulets were positioned specifically in order to remove all grab points while supporting a maximum range of motion. 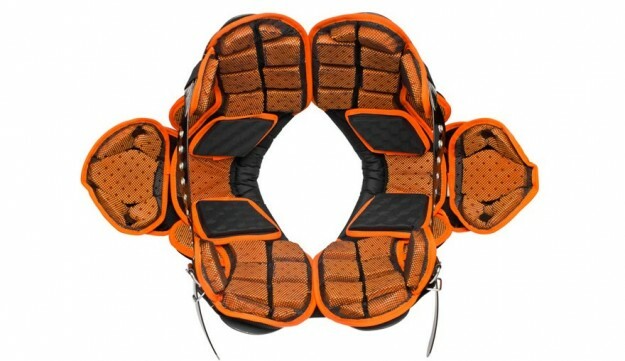 This product will definitely appeal to linemen, tight ends, linebackers and fullbacks. Its versatility is owed to a longer cut, which helps it accommodate a generous number of filed positions without sacrificing on comfort and coverage. Previous post Check Out This Perfect Under Armour Gym Outfit For Men!